The plumbing system in your home or business handles more than water each day. Food particles, fat, oil, and grease (FOG), and even mud and sand wash into the system. Over time, buildup accumulates and causes a clog or blockage to form in the plumbing. Our local Gainesville and Ocala plumbers with Sunshine Plumbing and Gas are experts in water jetting can quickly and effectively clear stubborn clogs while also cleaning the pipe. Professional water jetting is the best way to prevent recurring blockages and business downtime for homes and offices alike. If you’re looking for a fast and reliable way to keep the pipes clear in residential or commercial property, water jetting is the answer. Our plumbing repair company uses state-of-the-art water jetting equipment, and our plumbers undergo thorough training. We always inspect the plumbing line before and after water jetting and let you know if any issues are found. Water jetting clears common but stubborn clogs using a highly pressurized stream of water to cut through plumbing blockages. A specialized nozzle connected to a high-pressure hose and machine directs streams of water into the pipe. Sunshine Plumbing & Gas adjusts the size of the nozzle and amount of pressure based on your structure’s plumbing needs to maintain full control of the process and ensure a thorough cleaning of your plumbing system. To clear a clogged drain or pipe, home and business owners generally choose between snaking or water jetting. Both methods can be effective in their own right, but deciding which method to use depends on the circumstances of the plumbing blockage. Contact us for information about the best clog-clearing service for your property or to schedule Ocala plumbing services. What Are The Benefits Of Snaking? Snaking is the term used when plumbers insert an auger into a clogged drain or pipe. As the auger is extended, it breaks up obstructions and eliminates the clog. The advantages of snaking include the following. It's most effective with simple clogs that haven’t yet hardened against pipe walls. It’s tried and true. Snaking has been used by Sunshine Plumbing and Gas and other plumbing companies for decades because it works. Easy removal of minor clogs. Snaking isn't overly intrusive to commercial and residential plumbing systems, which reduces the risk of fragile pipes. It can reveal larger plumbing issues. A snake relies on pressure to break up and remove clogs. If it fails, you likely have a larger plumbing issue at hand. The majority of blockages and clogs in drains and pipes don’t stand a chance against the pressurized water used in water jetting. Other advantages include the following. 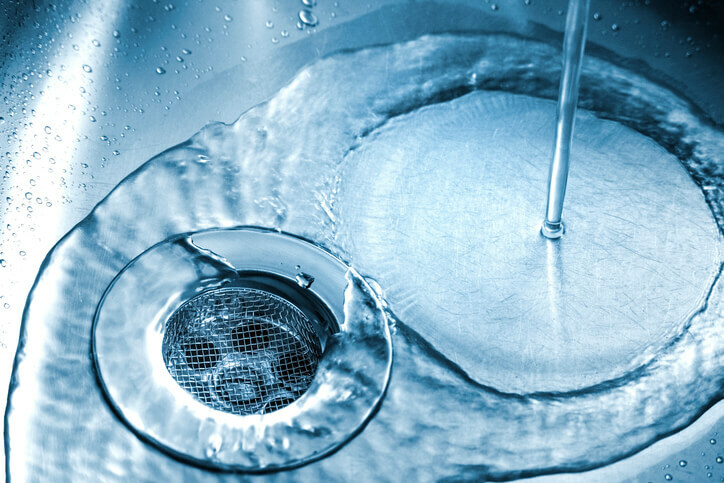 Water jetting is the best option for newer plumbing systems that can handle pressure. Versatility for all types of pipes. Water jetting can be used in pipes of all materials, shapes, and sizes. Eliminates serious blocks and clogs. Enough pressure can be added to the water to clear tree roots when necessary. Cleans pipe walls. Beyond removing big clogs, water jetting can clear layers of FOG buildup and mineral deposits that cover the pipe’s walls. How Often Should I Schedule Water Jetting Service? Restaurants and other businesses with high traffic, such as restaurants, need water jetting to regularly remove FOG build up, sludge, mineral deposits, and other types of debris that accumulate in the lines over time. Keep your restaurant open every day of the week with our restaurant plumbing services, including high-pressure water jetting. Businesses with less daily traffic may just require bi-annual cleanings, while others benefit from monthly cleanings or services every few months. Most residential properties only requrie water jetting when a clog occurs. Contact Sunshine Plumbing and Gas to speak with a plumber about your commercial plumbing needs in Ocala, FL. We can help you customize a service plan tailored to your business’ unique requirements.